The Wheelabrator incinerator is visible from I-95 in South Baltimore. Legislation requiring Maryland to get half of its electricity from renewable sources by the year 2030 gained initial approval in the state Senate on Tuesday. The most recent version of the bill would no longer allow trash incineration to be considered a clean energy source. Trash incineration became categorized as clean energy in 2011, thanks to legislation sponsored by then-Baltimore Del. Brian McHale. 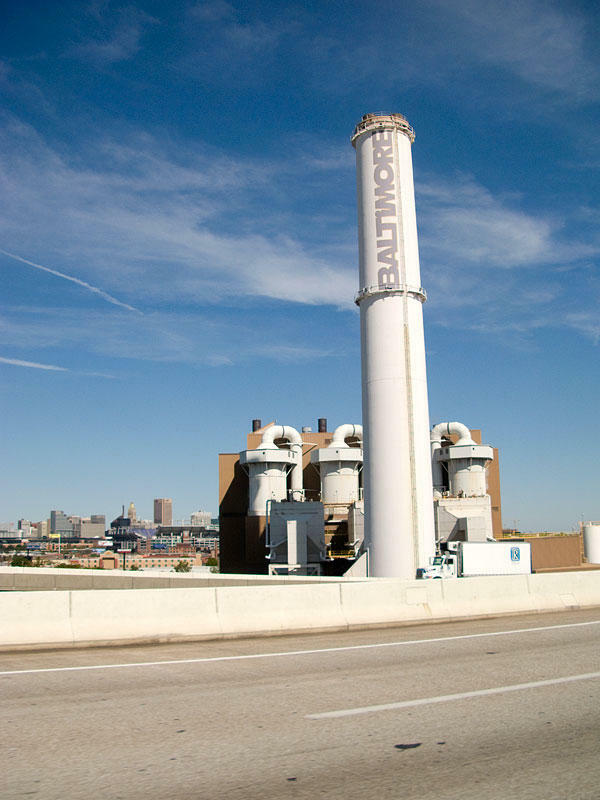 McHale’s district included the Wheelabrator incinerator in South Baltimore. On Tuesday, Sen. Bill Ferguson, who also represents South Baltimore, said he supports changing that classification, which comes with the opportunity for state subsidies. Incineration, he said, takes potential subsidies away from sources like wind and solar. In an emailed statement, Jim Connolly, Vice President of Environmental, Health and Safety at Wheelabrator, defended waste-to-energy as a “sustainable and non-depletable” energy source.